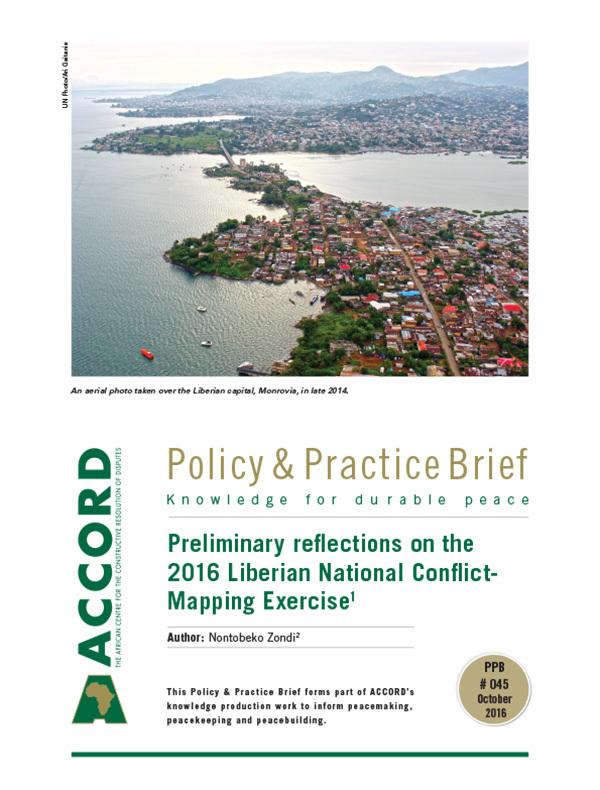 This Policy and Practice Brief (PPB) is the first of a two-part series of papers focusing on the Liberian Government’s 2016 National Conflict-Mapping Exercise (NCME). 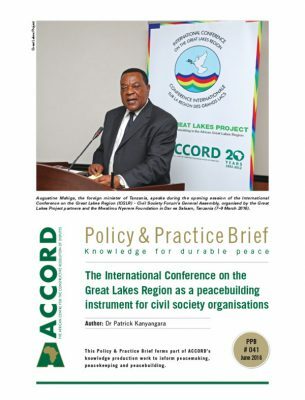 With respect to the scale, scope and underlying innovation – in terms of process and methodology – of the exercise, this series of papers aims to explore, document and critically reflect on the country’s ongoing commitment toward effective peacebuilding. 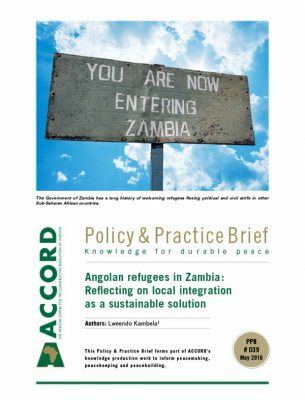 While this paper primarily considers the background and methodology that has informed the exercise, the second paper will more broadly reflect on the outcomes of the exercise, and identify key lessons to further advance the practice of peacebuilding across the continent. Since 2009, the Government of Liberia (GoL), working with its national and international partners, has continued to provide leadership in responding to a myriad of critical conflict factors. It has done this through various peacebuilding frameworks, such as the Strategic Roadmap for National Healing, Peacebuilding and Reconciliation in Liberia, the Liberia Peacebuilding Program (LPP) and the Agenda for Transformation (AFT).3 In addition, Liberia has concluded its post-Ebola recovery plans, supported by the United Nations (UN) and other partners, in the midst of the UN Mission in Liberia’s (UNMIL) transition in 2016, as well as within the context of the country’s 2017 national elections. 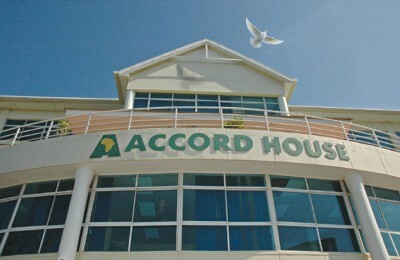 It was against this backdrop that the Peacebuilding Office (PBO) within the Ministry of Internal Affairs, the African Centre for the Constructive Resolution of Disputes (ACCORD) and other partners had to rethink and reprioritise Liberia’s peacebuilding and reconciliation strategies, programmes and interventions, moving forward. As such, a comprehensive conflict-mapping and conflict analysis exercise was pivotal to allow for a systematic and empirical process in which Liberian conflict issues and potential conflict drivers could be identified. 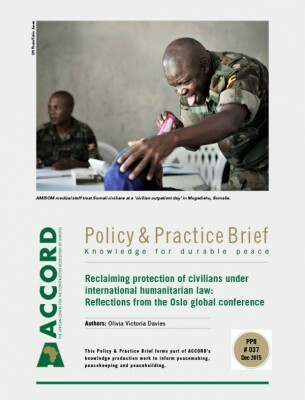 This Policy & Practice Brief (PPB) seeks to reflect on the 2016 National Conflict-Mapping Exercise (NCME) process, as well as the methodological approaches used to gather and analyse the data. It further highlights the importance of the NCME as a process and outlines the supportive role of international partners to the PBO, which guaranteed that the process is locally owned and steered by the PBO. Although it has a definitive end in the form of findings, the NCME itself should be seen as an important component for enhancing the coherence and coordination of peacebuilding interventions in Liberia. 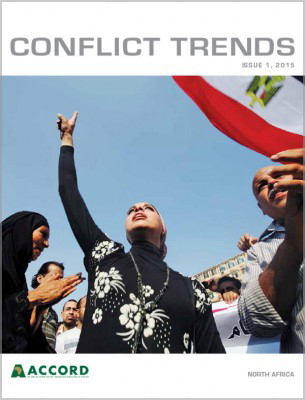 Innovative and practical efforts aimed at preventing instances of post-conflict states relapsing into conflict remain one of the most critical actions for peacebuilding practitioners. Among other things, national consultation prior to the withdrawal of peace support missions and social cohesion advocacy in the post-conflict setting is key to sustaining stability and peace. Furthermore, self-evaluation on looming conflict triggers is essential to pre-empt and mitigate a potential relapse. 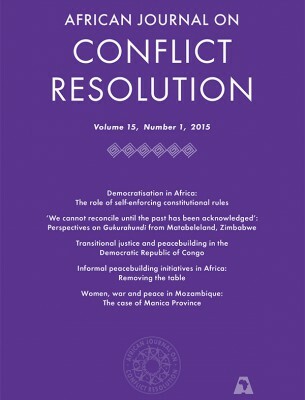 In the case of Liberia, research shows extensive literature and discussions on conflict issues and peacebuilding initiatives in the country, but more needs to be documented – with a particular focus on lessons that have been learned thus far. 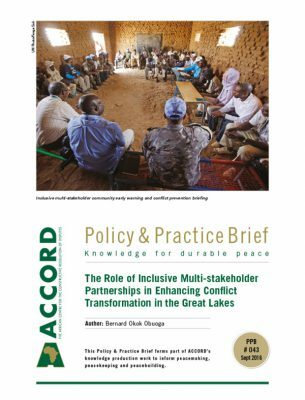 In response to a clear call by peacebuilding and development partners, the PBO prioritised the need for a NCME, among other things, and collaborated with ACCORD and other partners to assist with technical and financial resources to make it a reality. The NCME took place against the backdrop of the drawdown of UNMIL, as well as the country’s fragile socio-economic situation with respect to its post-Ebola epidemic context and 2017 elections. 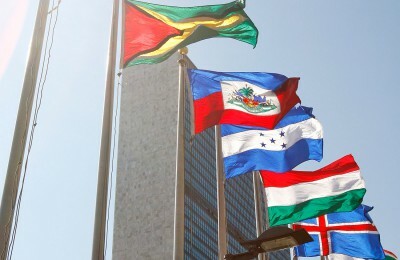 The presence of UNMIL and the signing of the CPA bolstered the country’s stability and greatly contributed toward steering the nation through two successive democratic elections, the formation of critical state institutions and the development of the country’s economy. During this period, the GoL established a Truth and Reconciliation Commission (TRC) in 2006, as part of its commitment towards the promotion of peace, security, unity and reconciliation. The TRC aimed to identify the nature and root causes of the civil war and to establish the truth through public dialogue.8 It was not only successful in documenting the conflict that lasted 24 years, but it also provided an opportunity to open up a platform for public debate, which generated a plethora of issues. However, the outcomes of the TRC also highlighted certain operational challenges – including funding, limited staff capacity, an inability to hold the government accountable on it’s recommendations, and generally rushing the process to meet the mandated deadline. This prompted the GoL to conduct an introspection on the status of the peace process in an effort to build resilience in a fragile nation. 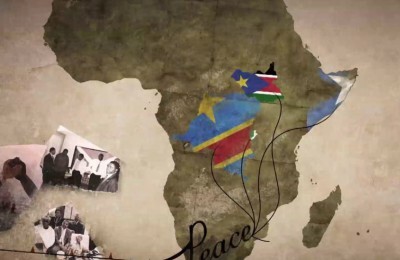 It did this through the 2008 National Conflict Mapping Project (NCMP). This NCMP sought to provide conflict-sensitive policy recommendations that would aid in the implementation of the GoL’s Poverty Reduction Strategy Paper (PRSP), published in 2008. The PRSP had been developed in collaboration with the International Monetary Fund (IMF) and other various actors on the ground, with the aim of outlining strategies and programmes to address the country’s most pressing poverty-related challenges. The PRSP prioritised the enhancement of national security, the revitalisation of economic growth, strengthening governance and rule of law, and the rehabilitation of infrastructure and service delivery.9 According to the PRSP, Liberians must be the prime contributors to the architecture of the new governance system to ensure legitimacy, sustainability, understanding and ownership.10 Recommendations from the NCMP linked to this by emphasising policies and programmes on nation-building geared towards community development.11 According to the NCMP, the conflict-sensitive policy recommendations refer to the measures that improve the effectiveness of policy and programme initiatives in contributing to conflict prevention and reduction in Liberia. The flow of resources from urban to rural areas usually gets diverted from the intended purposes or misappropriated as they pass through the long chain of local government. As a result, local government became insignificant to the lives of the people of Liberia. Boundary disputes were identified as the central issue related to a widespread breakdown in intercommunal relations. Allegations of fraud in relation to the management of title deeds and land sales were also cited by the respondents, sparking concerns of national and regional security. Identity conflict is the product of an incomplete convergence between a settler state and a diverse range of African societies within Liberia. 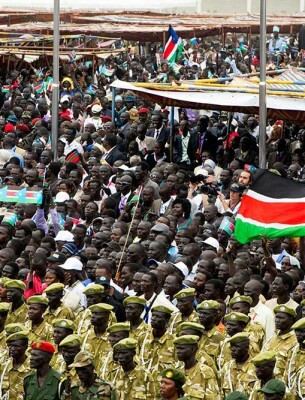 The NCMP revealed that the population was committed towards constructively addressing the issue of national identity. The war mostly affected the poor, the vulnerable and marginalised members of society, and also denied rural youth the opportunity to go to school or to access employment opportunities. When it came to the follow-up and implementation of the recommendations from the 2008 NCMP, the results were mixed. Some of the recommendations that were never followed up include the improper implementation of DDRR, poor resource circulation, lack of national identity and creation of local opportunities. Part of the challenge was that there was no agreed-upon, systematic manner to monitor the implementation of the recommendations that were made.15 The lack of implementation of these recommendations over the years has left Liberia in a state of fragility. Some of the recommendations that were implemented include the enactment into law of the land rights policy and the decentralisation programme, resulting in the election of local government administrators and the passing into law of the Local Government Act.16 The NCMP therefore, in many respects, set the benchmark for the NCME, which is discussed in greater detail in the following section. 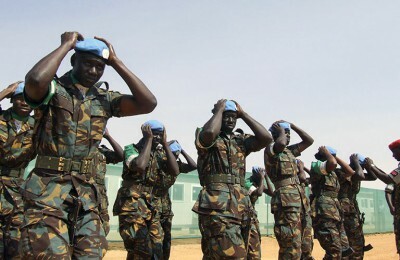 The failure to implement some of the recommendations of the NCMP, the outbreak of the EVD crisis in March 2014, the upcoming 2017 general and presidential elections, and UNMIL’s imminent withdrawal all cumulatively necessitated another self-assessment by the GoL of its respective systems with regard to countrywide peace and security. 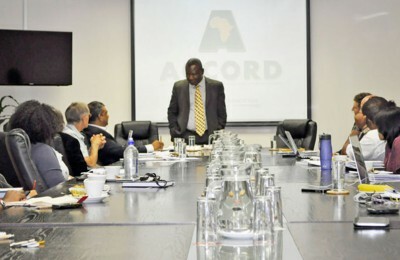 With Liberia as one of its focus countries, ACCORD, through its African Peacebuilding Coordination Programme (APCP), has been providing support to the Liberia peacebuilding process. Among other things, this programme has provided spaces in which stakeholders could deliberate on peacebuilding needs in Liberia and examine probable solutions. 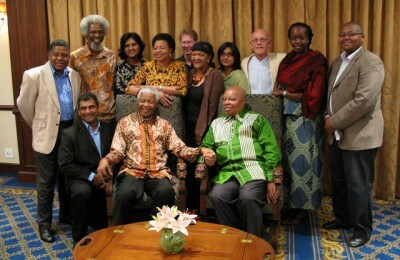 One such event was a Roundtable of key peacebuilding actors from Liberia interacting with key interlocutors in South Africa, in April 2015. Coming at a time when Liberia was emerging from the EVD crisis, the Roundtable sought to reflect on the state of peacebuilding in Liberia at that time, and to identify some of the key challenges facing the country. During the Roundtable, actors emphasised the need for renewed economic investments, re-engaging with national partners, the empowerment of women and rebuilding health facilities. It further emphasised the need to focus attention on the country’s post-EVD recovery by considering youth employment, social cohesion and the provision of social services to the population. The Roundtable set the stage for wider multisector and multi-stakeholder consultations. the TRC Roadmap and its implementation. The workshop provided an avenue for reflection among actors in Liberia, who shared experiences and identified best practices that could foster better coherence and coordination of peacebuilding efforts in the country. The NCME was one of the key recommendations from the workshop that the PBO decided to follow up, given its strategic importance in the mapping of triggers of conflicts in Liberia as well as the potential entry points of intervention by peacebuilding actors. 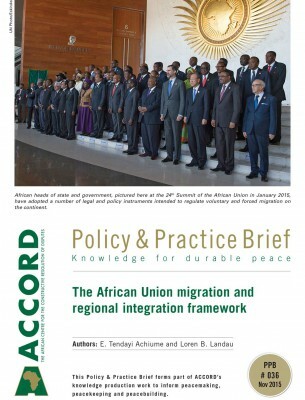 ACCORD consequently made a commitment to provide support to the process under the auspices of the APCP. The NCME implementation involved key preliminary activities that needed cross-sector consultations. These activities involved capacity building as well as consultative technical preparations of the NCME tools and methodology. 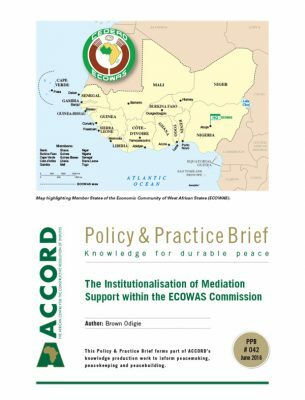 In September 2015, ACCORD, in partnership with the PBO, organised a training on Conflict Analysis for Conflict Mappers and Analysts. The participants targeted were those who were anticipated to play key roles in the data collection and analysis of the NCME. Later, in October 2015, ACCORD, in collaboration with the PBO and the Liberia Institute of Statistics and Geo-Information Services (LISGIS), conducted a workshop on the Development of Conflict-mapping Tools. This workshop focused on advancing the mappers’ knowledge and content of the mapping exercise, the methodology, the questionnaire and the use of the personal data assistants (PDAs). The workshop included mock interviews and pilot testing of the questionnaire with randomly selected individuals at non-sampled sites in the vicinity of the training venues. After pilot-testing the questionnaire, it was revised to some extent to ensure optimal clarity. The questionnaire that was developed was then subjected to months of consultations between the PBO and different peacebuilding stakeholders in Liberia, so as to ensure that it captured the pertinent issues holistically, as intended. Such consultations are crucial in ensuring that the findings of a mapping process are seen as legitimate especially amongst key programmatic stakeholders and beneficiaries. The development of the methodology was a consultative process, and the PBO led the engagements with key peacebuilding actors in Liberia on how to make it effective. 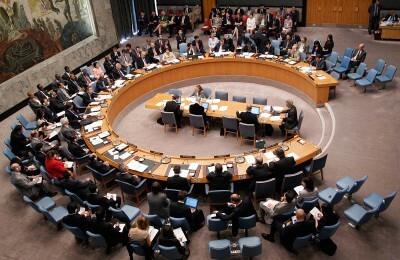 The recommendations from these consultations placed an emphasis on designing the NCME through systematic and empirical processes to identify and analyse conflict fault-lines and potential conflict drivers, in order to aid peacebuilding actors in designing intervention strategies that are context-specific and sensitive to each situation. The NCME’s aim was noted as leading to the better understanding of the different views and sentiments voiced by the people of Liberia, relative to different conflict issues or drivers. Once the consultations on the tools and methodologies were satisfactorily concluded, the stage was set for the launch of the NCME with the deployment of field researchers. This was led by the PBO, with technical support from ACCORD, LISGIS, the UN Development Programme (UNDP) and UNMIL, among other partners. The exercise commenced on 1 May 2016 and concluded on 30 August 2016, when the PBO released to its partners the draft report, containing the findings and recommendations for further review. For purposes of the NCME data collection, the PBO recruited 36 researchers who had been participants of the training conducted in 2015 by ACCORD and LISGIS.17 The researchers were then simultaneously deployed by the PBO to work across Liberia’s 15 counties at county, district and community/village level. The NCME adapted both quantitative and qualitative tools. A random, stratified, cluster sampling method was used for the research to ensure that the findings are representative of the population at county level. The total sample size consisted of 3 500 interviews – considered sufficient to provide statistically representative results and to allow for meaningful comparison. The number of male and female respondents in urban and rural areas to be interviewed was determined in proportion to the overall population size per county, according to the latest available data from the 2008 Population and Housing Census conducted by LISGIS. Furthermore, 30 focus group discussions (FGDs) and 30 key informant interviews (KIIs) were conducted. As primary sampling units, a total of 141 enumeration areas (EAs) were randomly selected, reflecting the population size of each county relative to the total population of the 15 counties combined. To put it into perspective, in Liberia all districts are divided into administrative units called “clans”. In urban areas, clans are often referred to as “communities”. These clans/communities are further subdivided into EAs, each of which usually comprises 80–120 households. All EAs were assigned specific geographic codes that identified them uniquely in terms of their geographical location or placement within the clan/community, district and county. Probability proportional to size (PPS) was used as a sampling method. This commonly applied technique ensured that those households in larger sites (EAs, in this case) had the same probability of being included in the sample as those in smaller sites, and vice versa. This method also facilitated proper planning for fieldwork, because a predetermined number of respondents were interviewed in each randomly selected EA, and teams of interviewers were dispatched accordingly. For the next stage, households were selected in the respective EAs. Upon entering the area, the respective team leaders engaged the local authorities (for example, town chiefs or local government officials) to explain the purpose of the research and obtain approval for conducting the interviews, which was hardly opposed. Before the fieldwork, letters were sent by the Minister of Internal Affairs to all county superintendents to notify them about the public perception survey and to request their cooperation in informing the local authorities in the respective counties about the content and timing of the research. In the EAs, the interview teams counted and listed all the households. A household is defined as a group of people normally sleeping under the same roof and eating together.18 As part of the household listing, a unique code was assigned to each household by marking the doorpost or an alternative, as is usually done for the census in Liberia and other large surveys or research. Subsequently, a skip interval was determined by dividing the total number of households in the EA by 30 – the estimated number of interviews to be conducted per team per day. For instance, if there were 100 households in a specific EA, then 100 divided by 30 would give a skip interval of three (rounded off), meaning that someone in every third household would be interviewed. The team would go to the third household listed, subsequently to the sixth, and so on, until all the interviews had been conducted in that particular EA. Upon entering a household in a selected EA, interviewers identified those eligible to be interviewed according to three criteria: (1) the person had to be 18 years or older; (2) the person had to be living in the household for at least six months; and (3) the person had to be of good health or not suffering from any condition that would likely prevent them from participating in the interview. If several household members were present and met the three criteria, the interviewers would randomly select one person according to a standard agreed procedure.19 Where necessary, follow-up visits or “call-backs” were made by interviewers in cases where no household members were present during the first visit. In keeping with good research practice, informed consent was obtained from each selected household respondent before starting the interview, ensuring adherence to the key principles of privacy and anonymity. Respondents’ oral consent was clearly noted by interviewers. No monetary or material incentives whatsoever were offered to encourage participation in the interviews. As agreed by the PBO and its partners – including the Liberian peacebuilding stakeholders throughout the consultation processes – the indicators for the research were drawn from eight conflict factors20 as well as the conflict early warning and early response (EWER) mechanism.21 In addition, a number of questions on EWER focal points; county peace committees (CPCs); and frameworks on decentralisation and governance, peacebuilding and reconciliation, among others, were considered. Based on the identified indicators, specific questions were then formulated. To make these as clear as possible, some of the questions were formulated in Liberian English, and grouped into six main sections while ensuring a logical sequencing of the questions. Given that the NCME is a follow-up to the 2008 NCMP conducted in all of Liberia’s 15 counties, the questionnaire had quite an extensive section on key conflict triggers, aimed at obtaining a more in-depth understanding of respondents’ knowledge, perceptions and experiences since 2008. While administering the survey, response options for specific questions were not read to respondents by the interviewers, to avoid any bias. An exception was made for certain questions where a scaling method (Likert scale) was applied and respondents were asked to select all that applied. The average time for administering the questionnaire was between 25 and 35 minutes per respondent. Researchers used PDAs for the individual interviews, while moderators and note-takers used electronic recorders for the FGDs. The 36 researchers comprised 30 interviewers and six team leaders, and were selected according to their experience, accuracy, interview skills, language skills, clear handwriting, and familiarity with the respective counties and local languages. A competitive process was deliberately applied to ensure that the best people were selected for the fieldwork. The team leaders were identified on the basis of merit and performance during the training. 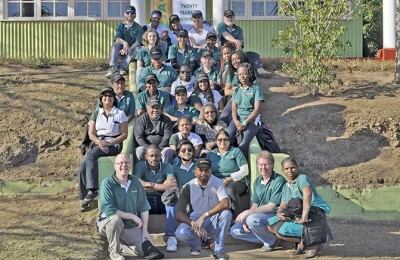 A total of six teams were formed on the last day of training. As much as possible, the teams were balanced in terms of gender and familiarity with the relevant counties. Each team was assigned to three counties at most, to cover EAs within those assigned counties. For the data collection phase, a detailed work schedule was developed for each team, including responsibilities; maps indicating all the EAs to be covered by the mapping exercise; the targeted number of interviews per day; and the overall quality assurance process. After each day of field work, team leaders held debriefing sessions with their respective teams to discuss work progress, resolve any issues and plan the next day’s work. There were two field coordinators: one from the PBO and one from LISGIS. They provided overall supervision and quality control during the data collection phase. Upon completion of the fieldwork, a total of 10 transcribers were subcontracted by LISGIS to reproduce recordings gathered from the FGDs and KIIs. Following compilation, a comprehensive set of tables were produced, using the Census and Survey Processing System (CSPro)22 to tabulate the results of the 3 500 interviews. 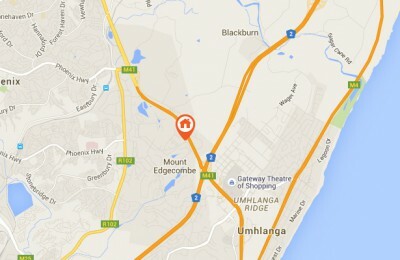 All questionnaires were stored in a secure location and treated with the required confidentiality. A consultant was subcontracted by LISGIS to carry out in-depth data analysis, while also comparing the findings with the 2008 conflict mapping and related mappings to validate the key findings. Capacity for the PBO should be enhanced to enable its staff and structures to better serve as a central coordinating entity in the implementation of the NCME findings. Concomitant to this, the PBO could provide assistance through either continued dialogue and/or technical assistance to national peacebuilding stakeholders. The PBO should remain at the centre of strategies to engage multiple actors across different sectors on post-NCME processes, to encourage implementation and act as a monitoring and evaluation entity for a coherent and coordinated implementation process. 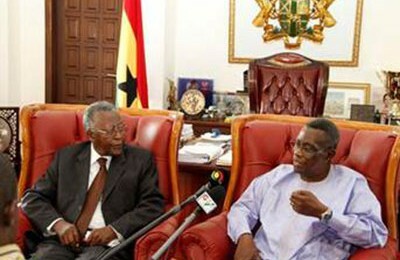 The PRSP emphasises that Liberians should be the prime contributors to the new governance system. Therefore, the NCME report should be made easily accessible and widely available to the broader public. Furthermore, efforts should be made to involve the public in the continued multi-stakeholder dialogues. This PPB has provided an account of the crucial steps that were undertaken to ensure that the 2016 NCME in Liberia is not only a success, but is implemented through a consultative manner involving key stakeholders. As reflected, a process such as a NCME is but a foundation or contributing factor to broader engagements on peacebuilding in post-conflict states. The NCME process has highlighted the power of local ownership, local buy-in and collaboration with international partners. Accordingly, as the process moves forward, it is vital that the identified potential triggers and unresolved issues are tackled, to secure and deepen Liberia’s peace and stability. Some of the identified challenges in the 2016 NCME – such as land, ethnicity and marginalisation – are consistent with those highlighted in the TRC report and the 2008 NCMP. 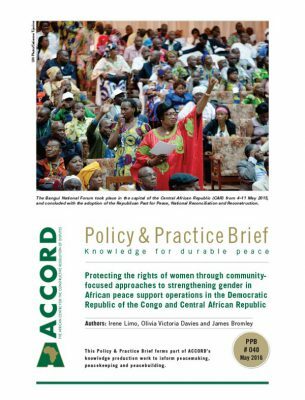 Other challenges – including UNMIL’s eminent withdrawal, the upcoming 2017 elections and the country’s deteriorating socio-economic situation – are considered emerging issues that call for additional and comprehensive responses. This PPB is a collaborative effort between the ACCORD and the PBO staff who were involved in the implementation of the NCME in Liberia. 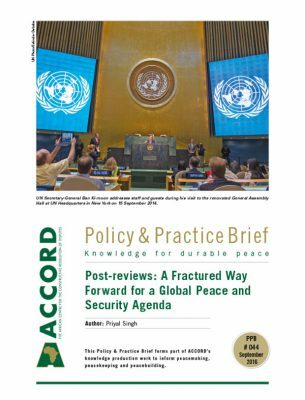 The author would like to acknowledge John Dennis from the PBO; John Ahere and Priyal Singh from ACCORD for their inputs; comments and reviews of the initial draft of this PPB. Genoway, E. 2016. Internal Affairs Ministry Launches National Conflict Mapping Exercise. Front Page Africa [Internet]. 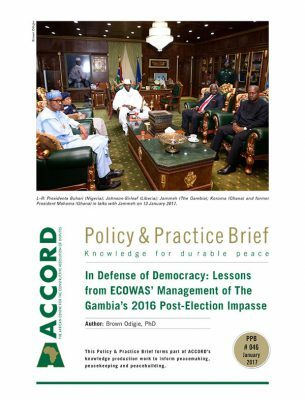 Available from: <http://www.frontpageafricaonline.com/index.php/news/305-internal-affairs-ministry-launches-national-conflict-mapping-exercise> [Accessed 6 July 2016]. Annan, N. 2014. 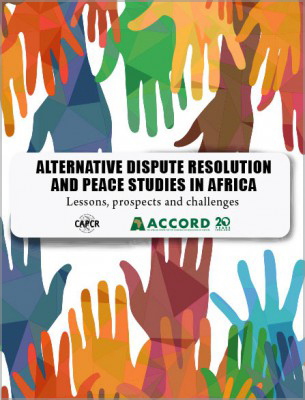 Violent Conflicts and Civil Strife in West Africa: Causes, Challenges and Prospects. Stability: International Journal of Security and Development, p. 3(1), Art. 3 [Internet]. Available from: <http://doi.org/10.5334/sta.da> [Accessed 1 August 2016]. Shilue, J. and Fagen, P. 2014. Liberia: Links between Peacebuilding, Conflict Prevention and Durable Solutions to Displacement. Brookings Institution [Internet]. 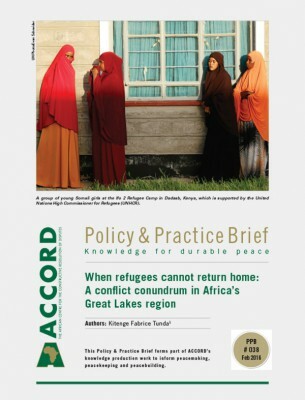 Available from: <https://www.acmc.gov.au/wp-content/uploads/2015/07/Liberia-Links-between-Peacebuilding-Conflict-Prevention-and-Durable-Solutions-to-Displacement-Sept-5-2014.pdf> [Accessed 1 August 2016]. 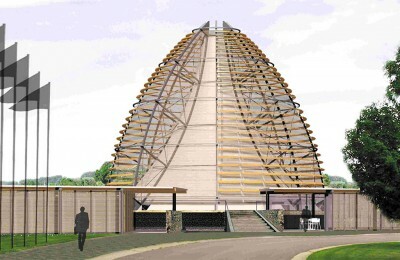 United States Institute for Peace. 2003. Liberia: Comprehensive Peace Agreement. Peace Agreement Digital Collections [Internet]. 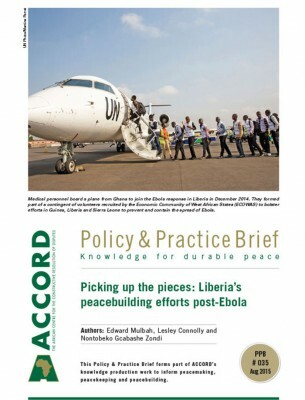 Available from: <http://www.usip.org/sites/default/files/file/resources/collections/peace_agreements/liberia_08182003.pdf> [Accessed 18 August 2016]. 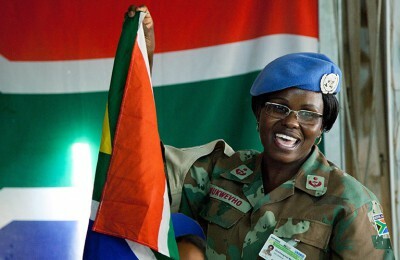 United Nations Mission in Liberia (UNMIL). 2016. UNMIL Mandate. United Nations Mission in Liberia (UNMIL) [Internet]. 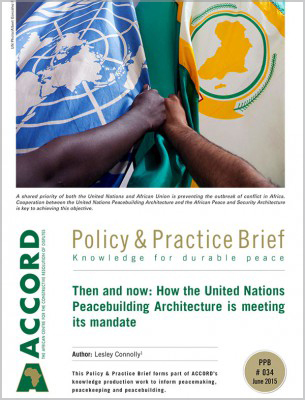 Available from: <http://www.un.org/en/peacekeeping/missions/unmil/mandate.shtml> [Accessed 7 July 2016]. Truth and Reconciliation Commission (TRC). 2008. Short Term Technical Assistance to the Truth and Reconciliation Commission (TRC) of the Republic of Liberia for the Conflict Mapping Project. TRC of Liberia [Internet]. Available from: <http://trcofliberia.org/resources/reports/final/volume-three-5_layout-1.pdf> [Accessed 10 July 2016]. International Monetary Fund. 2008. Liberia: Poverty Reduction Strategy Paper (PRSP). IMF Publication Services [Internet]. Available from: <http://www.imf.org/external/pubs/ft/scr/2008/cr08219.pdf> [Accessed 20 July 2016]. The PRS is a medium-term national development plan that lays out the policies and programmes Liberia aims to implement to enhance national security, increase economic growth, strengthen governance and the rule of law, and develop infrastructure, while providing basic services. International Monetary Fund. 2007. Interim Poverty Reduction Strategy of the Republic of Liberia: Breaking with the Past: From Conflict to Development. IMF Publication Services [Internet]. Available from: <https://www.imf.org/external/pubs/ft/scr/2007/cr0760.pdf> [Accessed 18 August 2016]. Aning, K. and Jaye, T. 2011. Liberia: A Brief Paper on the TRC Report. 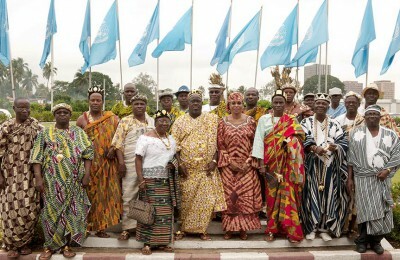 Research Department of the Kofi Annan International Peacekeeping Training Centre (KAIPTC) [Internet]. Available from: <http://www.kaiptc.org/Publications/Occasional-Papers/Documents/Occasional-Paper-33-Jaye-and-Aning.aspx> [Accessed 6 October 2016]. Governance Commission Policy Brief. 2015. Land Rights Law and Constitution. Governance Commission Policy Brief, 2(3) [Internet]. Available from: <http://governancecommissionlr.org/pg_img/Land%20Rights%20and%20Constitution.pdf> [Accessed 6 October 2016]. The research team comprised of students from local universities, a team of interviewers and field office staff. Haviland, W.A. 2003. Anthropology. Belmont, CA: Wadsworth. The random selection procedure consisted of the interviewer writing the names of all eligible household members on separate pieces of paper, shuffling these and throwing them on the floor or on a table. One piece of paper was picked randomly, and the person whose name was written on that paper would be interviewed. 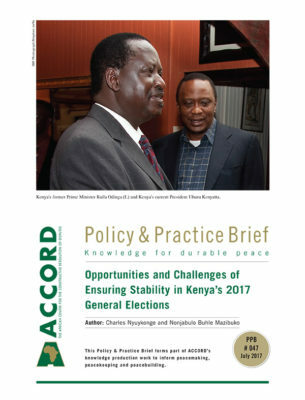 In 2010 and 2014, the PBO undertook 22 desk reviews, of which eight stood out from the 17 conflict factors identified as the most critical: land conflicts; challenges faced by youth, with particular regard to employment; mismanagement of natural resources; weak relationship between the state and its citizens; weak and dysfunctional justice system; the lack of a shared national vision, poverty and food insecurity; and the challenge with regional dimension. The conflict early warning and early response (EWER) mechanism was conceived and designed between 2008 and 2011, based on the involvement of the PBO in research activities. 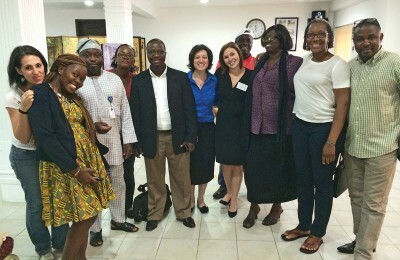 The Liberia Peacebuilding Office, with support from Humanity United, led the formation of an organisational network – now referred to in Liberia as the Early Warning and Early Response Working Group (EWER-WG). The goal of the working group is to work collaboratively for the early detection of issues that could lead to the escalation of violence, by identifying and addressing possible causes of conflict, and advancing recommendations to mitigate probable violent conflict situations.